The past few decades have seen a burgeoning of scientific studies on great apes’ use of nests for sleeping in the wild, as well as their nesting behavior and sleep in captivity. We review recent advances in knowledge of these topics, with the aim of promoting information exchange between people working in the field and with captive great apes. We trace developments in research into nest-building techniques in adults and immatures, factors that influence selection of general sleeping sites and specific locations, social aspects of sleep, postures, and nighttime activities. 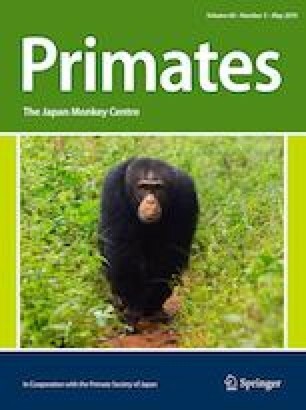 We argue that exchanges of information deriving from studies of captive and wild apes are valuable for obtaining a better understanding of sleep-related adaptations in our nearest evolutionary neighbors, and conclude by making some recommendations regarding sleeping arrangements in captivity from a welfare perspective. All studies cited and conducted by the authors of this article received ethical approval from relevant committees and adhered to the IPS International Guidelines for the Acquisition, Care, and Breeding of Nonhuman Primates, Second Edition. The authors confirm that there is no conflict of interest to declare.